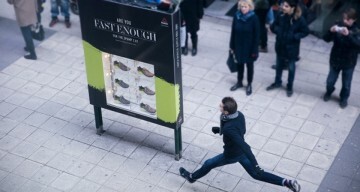 Check out this cool marketing and product innovation by beIN Sports network. They’ve come up with a vuvuzela (loud plastic horn used by soccer fans) that works like a remote control and changes the television channel to beIN Sports every time you blow it. Why? So you soccer-fans can finally get your voice heard and watch the game instead of some boring crap. 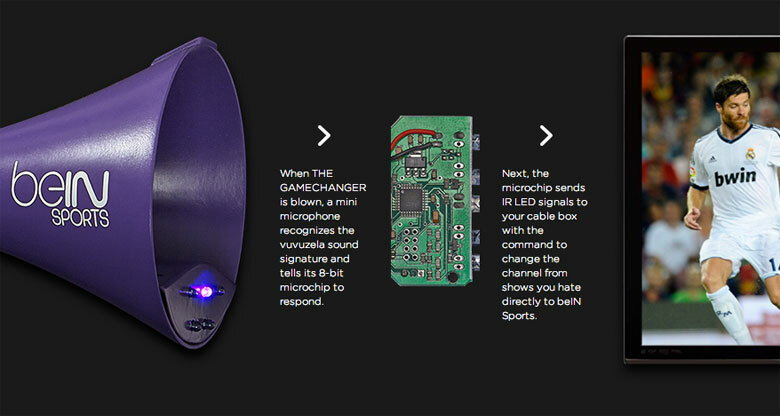 The BeIN “Game Changer” uses an Arduino setup with a mini microphone connected to a 8-bit microchip that transmits infrared LED signals to cable boxes every time the horn is blown. Impressed? Share your views in the comments section below. Don’t forget to share this post with the sports fans in your group.